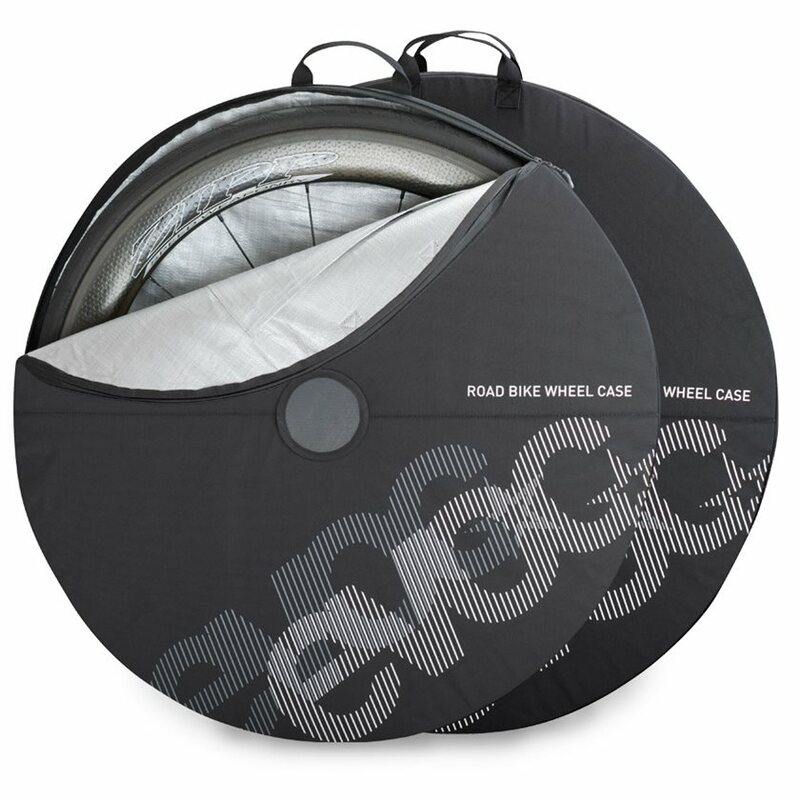 The EVOC Road Bike Wheel Covers make wheel transport as easy as can be. These handy wheel covers fit perfectly into the outside wheel compartments of the EVOC Bike Travel Bag or can be used standalone as well. Protect your wheels and your car from damage with these heavy duty wheel covers from EVOC. A separate compartment for small parts keeps track of your QR skewers and other small essentials, and built in carrying handles make carry an awkward wheel no trouble at all. Great product! Well made, has reinforced areas around the hubs and just the right amount of padding to protect your wheels without adding too much bulk.